Dog Walking, Dog Sitting & Daycare. 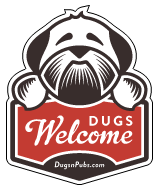 Find a Dog Walker, Pet Sitter or Dog Daycare in East Lothian, Scotland. I provide a professional dog walking and pet sitting service in East Lothian. I cover North Berwick, Gullane and surrounding in East Lothian. My friendly and reliable service ensures your dog enjoys company, mental stimulation and a fun-filled walk when you cannot be around. Based in Haddington and covers the whole of East Lothian, offering dog daycare, dog walking & pet sitting. There are a total of 2 posts in the East Lothian category.